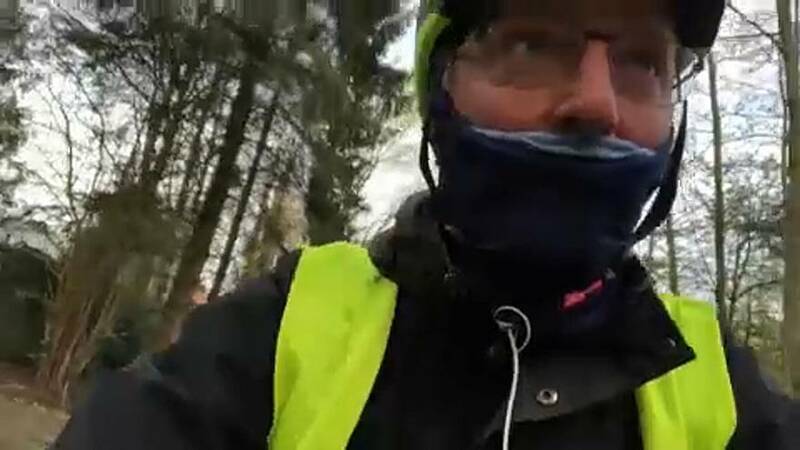 It is the last plenary session for MEPs ahead of the European elections, Brussels correspondent Sandor Zsiros is getting on his bike to travel the nearly 500km to reach the Strasbourg parliament. He explains why. "I dreamed about this since years, going to Strasbourg from Brussels by bicycle, why? Simply because in the last five years i ve been there around 30 times, every time by car, I did not see anything about the life between the two cities, I want to know how people live there, between Brussels and Strasbourg, what are the main worries, and also most of the MEPs, they are only taking the car or the train, They don't know either in the small villages, So, before the European elections, I take the initiative to spend five or six days on the bicycle and talk to the local people about their biggest worries and what they want from Europe. He arrived first in Flanders, twenty kilometers from Brussels in a place is called Overijse, where he asked what one garage worker thought of Europe. "If we're really in the EU, and we have true solidarity, then we should reduce the red tape and make things easier." In Namur he went to a bar he met another person who thought Europe could do more for the people. "I think that Europe is made for the markets, and the social side has been left behind."